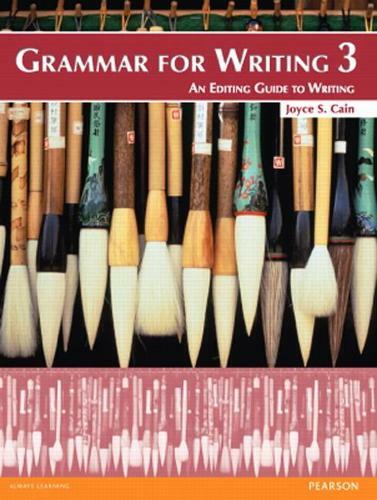 Clear, concise grammar explanations and easy-to-read charts help summarize key learning objectives.Diagnostic pretests and self-check exercises assess students' understanding of the editing points. Exercises drawn from student writing focus on the most frequently occurring grammar errors. Editing guidelines help students identify and correct common grammatical mistakes. Authentic writings model application of grammar points. Corpus-informed approach to vocabulary gives the series an academic feel.